I was reluctant to listen to a novel about politics until I heard another fan saying the same thing, and finishing up with how much he'd enjoyed it. "Give it a try," he said, "you won't be sorry," and that's what I'm telling you. This is not politics as told on TV, it is living, breathing characters, some of them you will wish were your friends and neighbors, some of them you will wish you *had* seen on the news! All of them are entertaining and colorful. Another thing you should know is that you will often have to explain why you are laughing so hard. 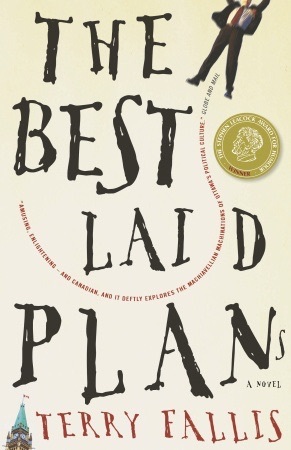 "The Best Laid Plans" is a great book, very well read by the author. Do yourself a favor and listen to it. Terry Fallis tells a hilarious and excellent story of a plan to exit politics that goes awry and winds up very reluctantly bringing into office the kind of honorable and direct politician I think we all would like to have, regardless of the country in which we live. While obviously focused on Canadian politics and customs, Terry provides enough commentary to clue those of outside the world of Ottawa into some of the nuances of that particular flavor of democracy. Very enjoyable and fun to listen to, regardless of your nationality or political leanings. You'll find yourself wondering what next will happen to Daniel and Angus... and looking forward to the next episode!